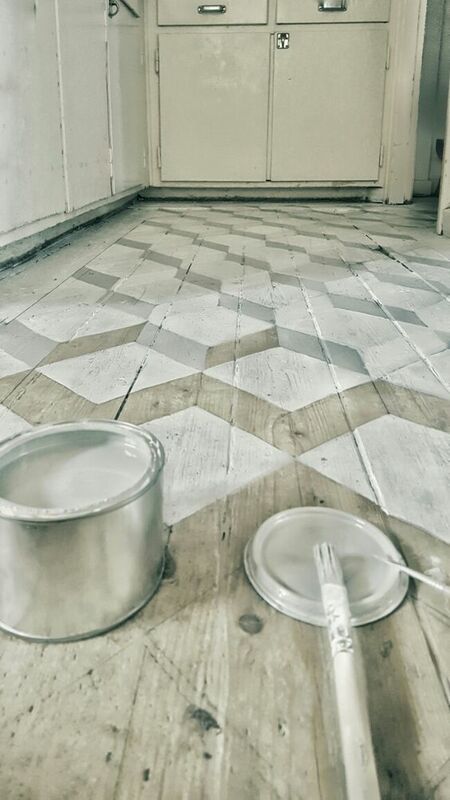 The alternative of painting a wooden floor allows us to renew the aesthetics of any home environment. In addition, with this option we avoid changing all the pavement, and can choose between multiple designs and paint colors. In the case of the first image, it is a pattern in checkerboard and in a palette of pastel shades. The transparency of the painting reveals the veins of the wood, and the effect is charming. In the following image, it is a corridor where a checkerboard pattern was chosen and using black paint. Large format figures in contrast to the wood, create an interesting visual game. 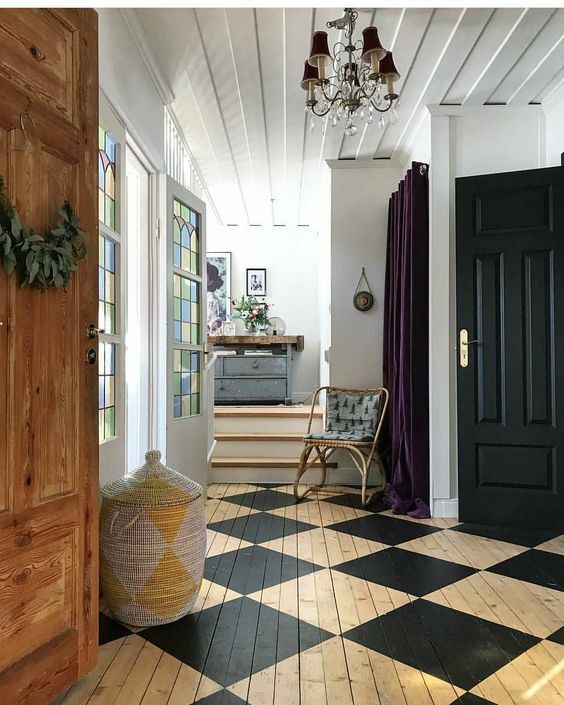 In a kitchen, wood is again the material chosen for the floor, and it was renewed with a geometric pattern that is repeated throughout the surface. In this case the drawing is completed with neutral tones. This type of geometric patterns adds dynamics and rhythm to the decoration of a space. You can play with the designs and colors of the painting, even using two or more to create an even more impactful effect. Stencil technique is indicated to perform this type of work on a surface. That is to use a template, with which the pattern chosen is repeated throughout the surface to work. But you can also help with other techniques, such as using painter’s tape to demarcate the area to be painted. Above all, this alternative is practical if simple geometric figures are made. There are many tutorials that indicate the step by step, and the precautions to take into account to do this type of crafts. 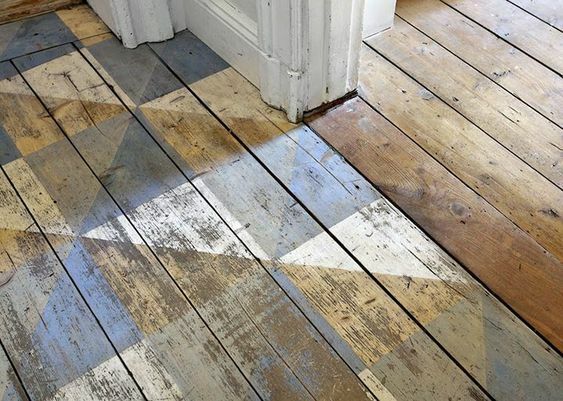 If you are thinking about how to improve or modernize a wooden floor, consider this option, which with paint, time and patience, the result can be precious.